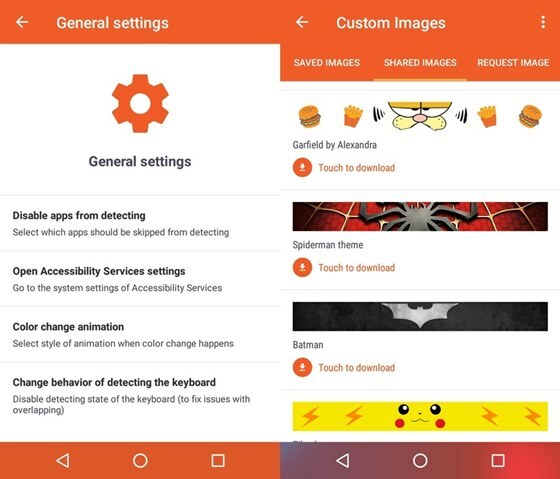 We all know that a common way of customizing android device is by using launcher, with couple of theme installed. Even some folks even go further by installing Xposed framework to do more cool tweaks and customization. While some prefer flashing Custom ROM with amazing built-in features. But the Navbar App will further turn your boring navigation bar to an awesome look. Navbar app is an amazing app made just to customize your android navigation bar to an amazing look, with navbar you can turn and tweak your boring android navigation and make it awesome. 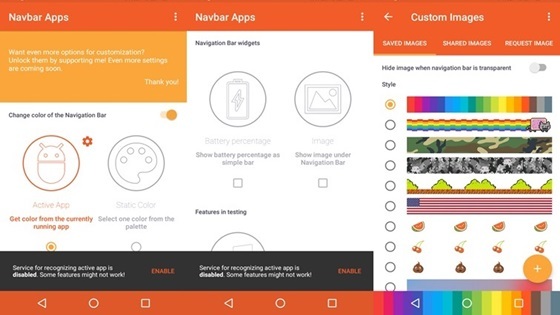 You can choose to use your custom made image as navbar image, and not just that, there are several Navbar app Features you will definitely love,which make the Navbar App the best luxurious way of customizing your navigation bar. With Navbar app features, you can choose to mimic the color of the current app you are using, or you can decide to use the color from the palette. Not just that, you can also set it to show battery percentage. If you like it, you can decide to go premium with a token - this will enable you to select custom made pictures. Having said that, let me quickly add that with Navbar app, you don't need root access to tweak your android navbar color to make it great again. There is a Google Plus community which you can join HERE, to request for and get more custom made images for your android navigation bar.